Year: 2018. Amsterdam, the Netherlands. 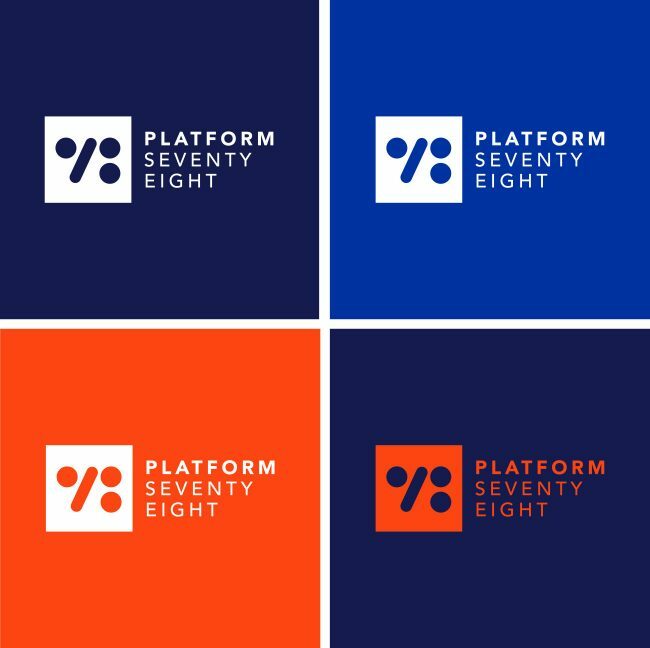 Platform 78 is an international design practice with offices in Amsterdam, New York, and Beirut. The practice was founded with the firm believe in the power of good design to elevate the human experience of space and time, and that good design is a result of meaningful relationships extending well beyond the timeframe of projects. The practice includes a number of engineers, artists, and computer scientists, and inhabits the space between science, architecture, and, media delivering acoustics and multimedia. 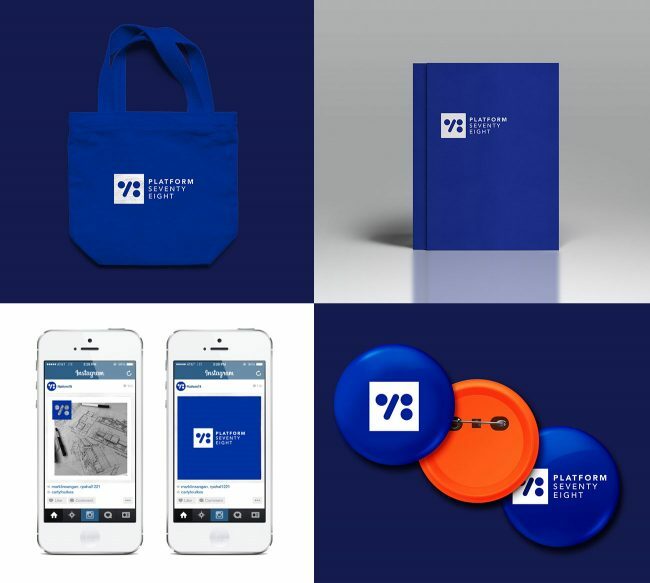 Tarek Atrissi Design supported the new established firm (2018) in its entire branding process: from creating the name of the firm to defining the brand strategy and designing its entire visual identity. Naming is a very important aspect of establishing a new brand, and our long experience at Tarek Atrissi Design in developing viable brand names helped us establish an elaborate methodology of “Naming Development” that is results driven and that carefully balances the art and science of creative name creation in the context of branding. 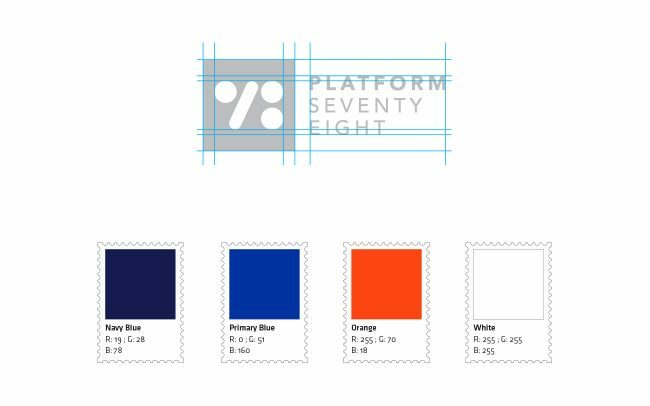 The visual identity of Platform 78 reflected the minimalist design approach the design firm adopted in its own work philosophy. The logo consisted of an icon abstracting the number 78 in basic forms, and the typographic signature next to it spelled the entire brand name in an clean sans serif font. 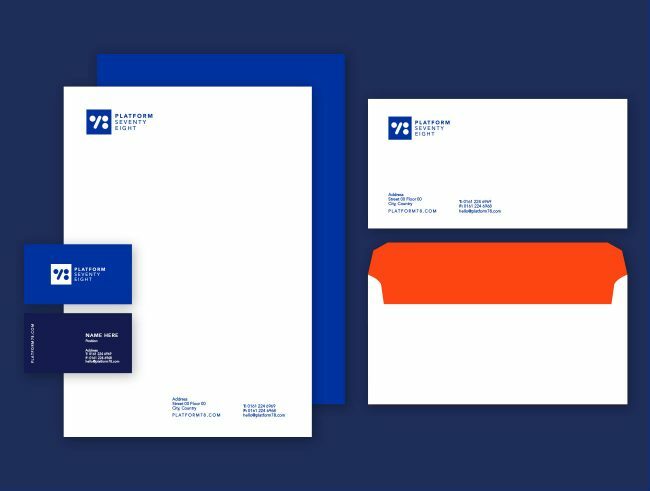 The colors adopted for the identity combined a range of dark blue colors with a vivid red, and the overall brand was iconic, simple, memorable, and easy to work with. After developing the basic brand identity, Tarek Atrissi Design was commissioned further by the firm to work on a long term basis to support in the implementation of the identity, and in the creation of all internal documents and templates for the firm to facilitate the day to day needs in design and to set up easy to use systems to create presentations, proposals and company documents in a consistent and professionally designed manner.